How to watch Freddy vs. Jason (2003) on Netflix India! 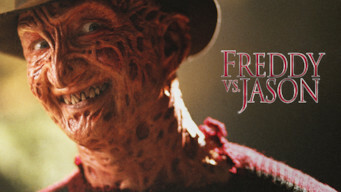 Sorry, Freddy vs. Jason is not available on Indian Netflix, but you can unlock it right now in India and start watching! With a few simple steps you can change your Netflix region to a country like USA and start watching American Netflix, which includes Freddy vs. Jason. We'll keep checking Netflix India for Freddy vs. Jason, and this page will be updated with any changes. Freddy vs. Jason is not available in India BUT it can be unlocked and viewed! Fusing slasher franchises, this hybrid of horror pits nightmarish Freddy Krueger against serial killer Jason Voorhees in the ultimate showdown. A demonic king of nightmares. A maniac in a hockey mask. An evil vs. evil showdown for the ages. There is a way to watch Freddy vs. Jason in India, even though it isn't currently available on Netflix locally. What you need is a system that lets you change your Netflix country. With a few simple steps you can be watching Freddy vs. Jason and thousands of other titles!